drive bay adapters to take a look at. contacted Tony Ou at SilverStone after that and mentioned the FP-51 would be a good follow-up to that review. He agreed, and here it is. It’s not easy getting excited about something as mundane as a 3.5″ to 5.25″ drive bay adapter, but if they all looked this good, and were constructed this well, it might just be a lot easier. 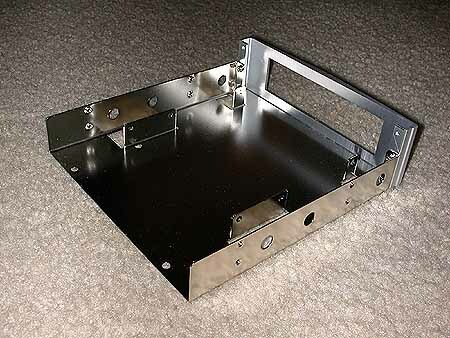 SilverStone’s line of aluminum cases. This item is also available in a black finish, to match their black cases, as well. The back of the box outlines possible uses for this item, and we’ll look at a couple of them here. 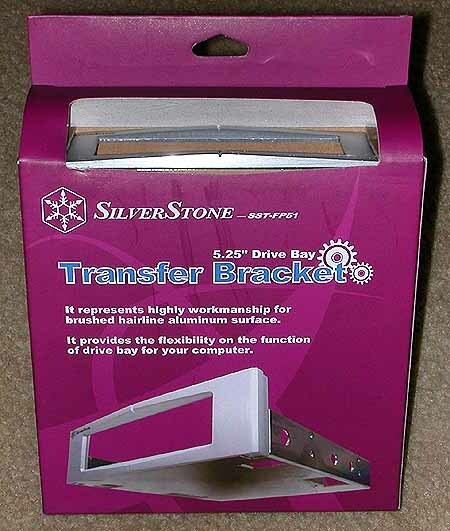 The primary use for this item might be to install a floppy drive into a case that doesn’t have provision for an external 3.5″ device (like the SilverStone SST-TJ-03 case mentioned earlier). Naturally, however, any 3.5″ device will fit into this item, so all of thos card readers, USB hubs, etc will definitely work with this item well. 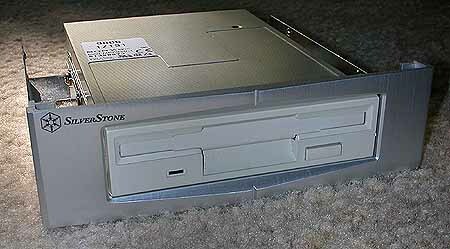 Here’s a shot of SilverStone’s SST-SDP01 6 in 1 card reader (reviewed here) installed into the FP-51. system control panel, which will be featured in an upcoming review soon. While Silverstone hasn’t been around for a long time, they’ve quickly risen to the top of their class with their quality products. 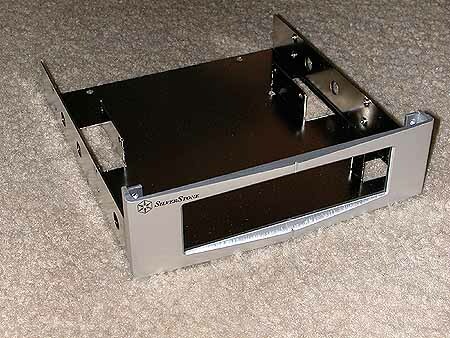 The FP-51 drive bay adapter seen here is no exception. Using rugged metal components, rather than cheap plastic, makes their products stand apart. This item is built to last, and looks great to boot. drive bay adapter for us to look at today.